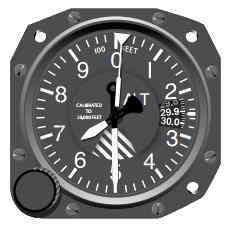 Once in flight, it is very important to obtain frequently current altimeter settings en route. 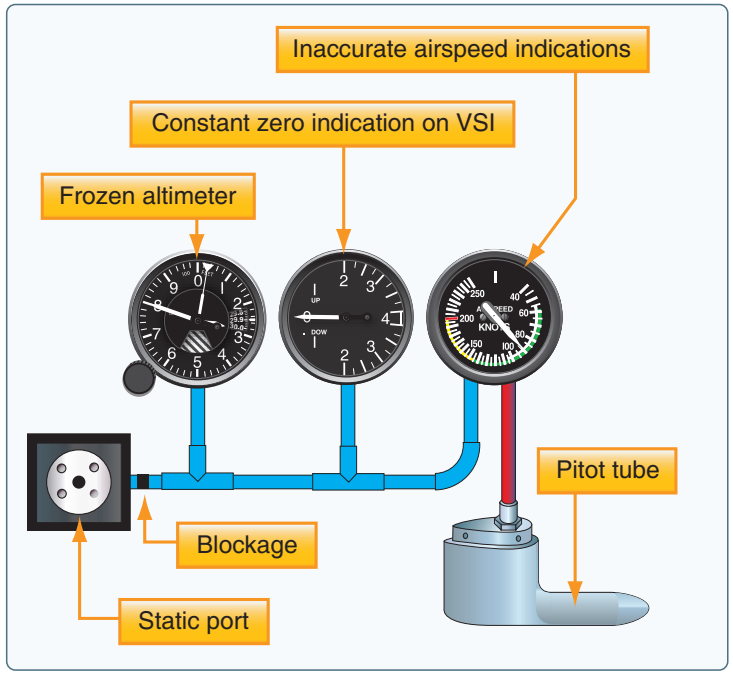 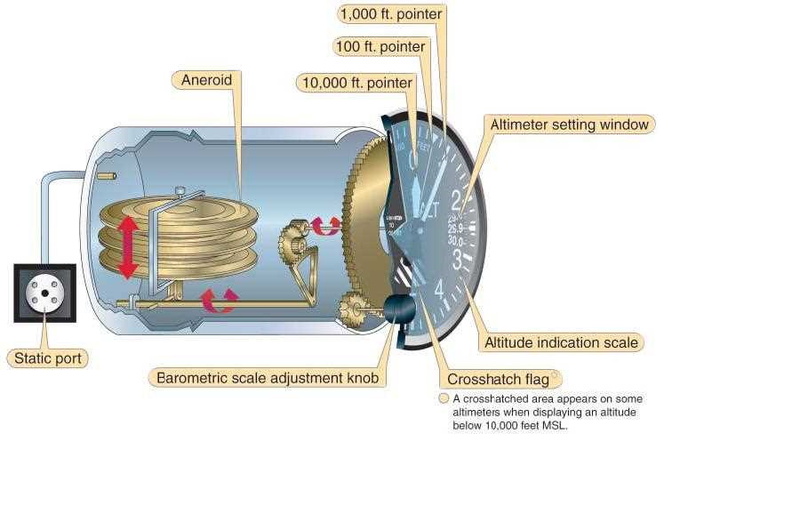 If you do not reset your altimeter when flying from an area of high pressure into an area of low pressure, your aircraft will be closer to the surface than your altimeter indicates. 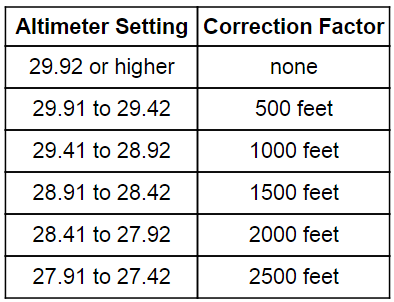 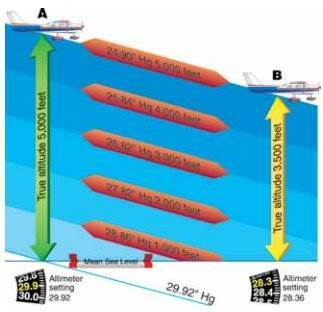 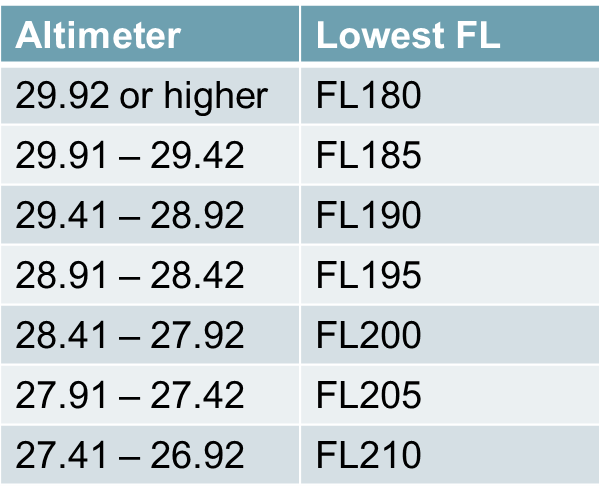 An inch error in the altimeter setting equals 1,000 feet of altitude. 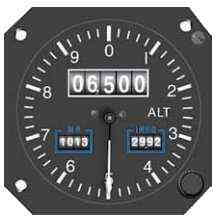 To quote an old saying: "GOING FROM A HIGH TO A LOW, LOOK OUT BELOW"
The fact that the altitude indication is not always true lends itself to the memory aid, "When flying from hot to cold or from a high to a low, look out below"
Pilots set the altimeter to the standard 29.92 when entering the "flight levels"
This degradation is known as "drift"